Early Friday morning, South Korea and China issued condemnations of new Japanese textbooks that claim islands disputed with both countries as part of Japanese territory. 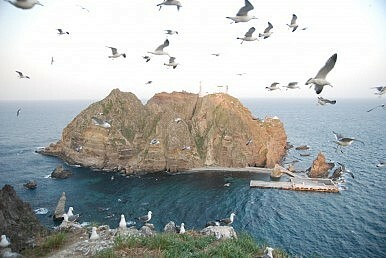 According to Reuters, new “elementary school textbooks describe islands called Dokdo in Korean and Takeshima in Japanese as Japan’s ‘sovereign territory’ and say South Korean occupation is unlawful.” The changes will apply to eight out of the 12 textbooks that will be used in Japanese elementary schools beginning in early 2015. According to South Korea’s Arirang News, six of the eight new textbooks say that South Korea is “illegally” occupying Dokdo while two others carry maps that mark the island as part of Japanese territory. In response to the new textbooks, Seoul summoned Japan’s ambassador to protest. “If (Japanese) Prime Minister Shinzo Abe who declared just three weeks ago he stands by the ‘Kono Statement’ now tries to conduct education for elementary school children that distorts and hides its history of colonial invasion, he is not only breaking his own promise but also committing the mistake of isolating its next generation from international society,” the South Korean foreign ministry noted in a statement. The textbook issue is an acute manifestation of broader historical tensions between China, South Korea, and Japan – tensions that have been more pronounced since Prime Minster Shinzo Abe came back to power in Japan. Abe’s right-wing beliefs and tendency to gloss over Japan’s past actions in Asia have prompted both Seoul and Beijing to effectively cease high-level diplomacy with Tokyo. Where most Japanese prime ministers meet the South Korean president within a year of taking office, it took Abe much longer. Abe met South Korean President Park Geun-hye just last month at the Nuclear Security Summit in The Hague – in a trilateral setting with U.S. President Barack Obama present as well.